Perfectly white, colourless diamonds, the most liquid of assets, are beyond rare. Perfection does not come in abundance. These stones are for those who only want the absolutely finest of diamonds. When we let them go, we feel assured they will end up in good hands – with someone who appreciates their exquisite beauty and not just their exceptional value. Diamonds of such immaculate colour, impressive size, absolute symmetry, rare brilliance and inner limpidity are the pinnacle of diamonds; earth’s companions to the starry sky above. ‘The stones we select conceal an enigmatic perfection. It is a promise lying quiescent for centuries in anticipation of the human savoir faire that will release it. Meticulously selecting the best nature has to offer is our instinctive yet extraordinary ability. We intend each stone to come as close as possible to the ideal of perfection and will settle for the pursuit of nothing less. Our aim is to realize diamonds with excellent cut, polish and symmetry grades. To reach this aim, we explore and understand the inner dynamics of our exquisite treasures, each one a new universe harbouring its own particular mystery. Like the journey into the depths of the earth to locate exceptional stones, the journey to unearth the inner essence of our diamonds can take months or even years to complete. 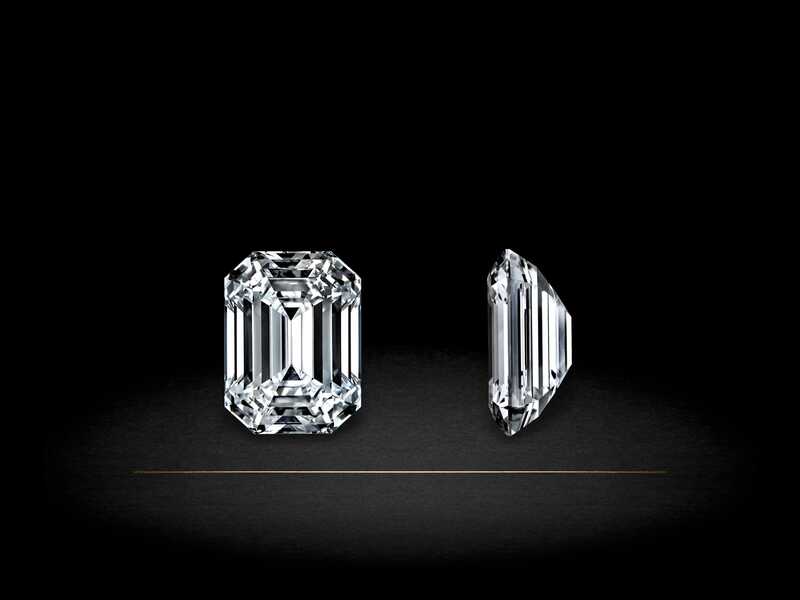 These are the world’s most perfect diamonds: D colour, Type IIa, Flawless gems: the best colour a diamond can achieve and the purest composition known to nature. Such diamonds are the beating heart of Rare Diamond House; this is not just our core business, but our calling. Whiter than white, they are metaphysical marvels of transparency, a complete absence of colour miraculously capturing every possible colour, precisely because of their extreme purity. They contain so little nitrogen that they transmit ultraviolet and visible light that other diamonds obscure. Breathtakingly vivid, Type IIa diamonds are the purest of the pure.